Somebody pays – and it’s not the drug companies. Just think for a moment. What could New Zealand’s government do with an extra $21 million each year? 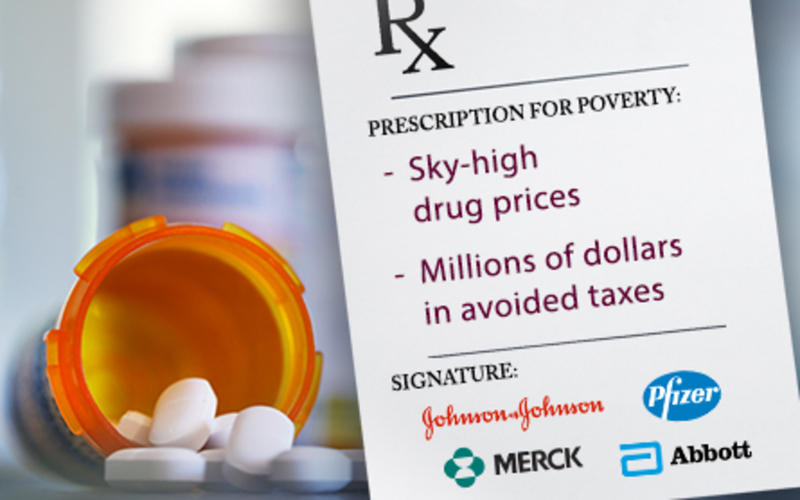 As part of Oxfam USA’s research into four pharmaceutical companies - Abbott, Johnson & Johnson, Merck & Co. (also known as MSD)*, and Pfizer – Oxfam found that from 2013 to 2015 New Zealand appeared to lose an estimated NZ$21 million from the four companies each year. And last year, Oxfam uncovered that over three years Reckitt Benckiser – the company behind Vanish, Dettol and Harpic – may have avoided paying as much as NZ$15.2 million in tax in New Zealand. Together, this research shows that every three years New Zealand is potentially losing up to NZ$78 million from these five companies alone. More nurses and doctors in our hospitals making our waiting lists a lot shorter. More teaches in our schools making class sizes a lot smaller. More social housing so fewer families have to sleep in their cars. The developing world is losing even more, with the UN estimating that tax avoidance by big companies costs the poorest countries at least NZ$154 billion every year. That’s enough to educate 124 million children who currently can’t go to school. What’s more, the tax avoided by these four companies would purchase vaccines against Human papillomavirus (HPV) (a sexually transmissible infection) for 10 million girls, preventing the cervical cancer that kills one woman every two minutes. Meanwhile, Pfizer’s CEO earned NZ$39 million in 2017; Johnson & Johnson’s earned $34 million; Merck & Co.’s NZ$25 million; and Abbott’s earned NZ$23 million. Take action now by sending an email to our Minister of Revenue demanding that multinationals pay their fair share in taxes. *In all cases, when we use the name 'Merck & Co.' we refer to the USA-based pharmaceutical company Merck and Company Inc., sometimes known as Merck Sharp & Dohme (MSD) outside of the USA, not the German-based pharmaceutical company Merck KGaA. I know you have made progress in tackling the issue of global tax avoidance and I thank you for your hard work. However, we need to do more and today I am writing to ask this of you. It concerns me that here in New Zealand we lose money that should be spent on crucial public services like hospitals because multinational corporations are avoiding paying their fair share of tax. And we are not alone. The poorest countries are also likely to be losing out on millions of dollars that should be paying for schools, medical staff and medicine. You can make sure multinational corporations pay their fair share by requiring them to publicly report their key financial information on a country by country basis. We need to work together to hold these corporations to account. If this information is made public, multinational corporations will be more likely to pay their fair share of taxes meaning the poor will no longer miss out on crucial money they need to escape poverty. Please note your email will be sent directly to the minister's office and it will contain your full name and email address.